IOBS exists to redesign oncology practice to create improved, affordable patient outcomes while improving the satisfaction of both patients and physicians. The IOBS Business Goal is to provide Innovative Consulting Services and Products to the healthcare market that will provide assistance to physician practices and payors; improving health outcomes, enhancing patient care experience and significantly reducing costs of care, while improving the stability of physician practices and satisfaction. Barbara L. McAneny, MD is the CEO and Chief Medical Officer (CMO) for Innovative Oncology Business Solutions, Inc., the company she established to administer the management and daily operations of the COME HOME program. She is board certified in internal medicine, oncology, and hematology and has been a fellow of the American College of Physicians and a fellow of the American Society of Clinical Oncology (ASCO). 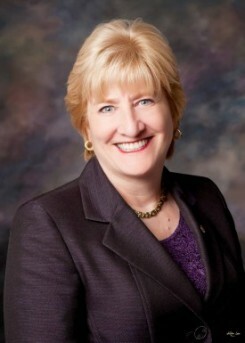 Dr. McAneny was elected to the American Medical Association Board of Trustees in June 2010 and as of June 2014 is the new Chair of the AMA Board. In addition to her current position of Chair, her many leadership roles have included member of the Board of Directors of the American Society of Clinical Oncology (ASCO) and several committee positions. Dr. McAneny currently holds Board of Director positions for the Council for Affordable Quality Healthcare (CAQH) CORE, The Community Oncology Alliance (COA), Coalition of Hematology and Oncology Practices (CHOP) and has served on the Practicing Physicians Advisory Council (PPAC). 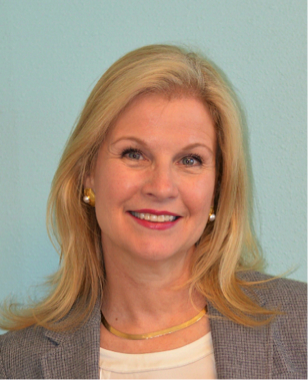 Laura Stevens is the chief operating officer of Innovative Oncology Business Solutions, Inc. In June of 2012, the Center for Medicare and Medicaid Innovation (CMMI) awarded Innovative Oncology Business Solutions (IOBS) – a $19.8 million grant to develop and test a new Community Oncology Medical Home (COME HOME) model. Innovative Oncology Business Solutions, Inc. (IOBS) is a for-profit corporation that was created for the purpose of administering the CMMI grant and providing the distinct organizational structure necessary to oversee and manage the COME HOME project. Laura’s professional experience in healthcare technology, business development and management roles spans her 30-year career in healthcare. Before joining IOBS, Laura held the position of VP of Business Development for Net.Orange and was one of the first five employees for the then, Start-up Company. Her healthcare operations and consulting experience came from owning her own consulting firm, Harris Methodist Health System and The Travelers Insurance Company providing her with a unique understanding of provider’s operational, financial and clinical information requirements.